Hey peeps, the new F1 season is just a few weeks away now. To be honest I can't wait for lights out. Testing is just about to start in Spain and today we were treated to car launches from Ferrari and Mercedes, two of the current heavyweights in F1. Let's kick things off by introducing the car Ferrari are pinning their title hopes on, say hello to the Ferrari SF71H. The new car is the 64th Ferrari F1 single-seater track weapon. At first, look not much seems to have changed from last season's car but Ferrari did say quite a lot is new, for instance, the wheelbase has been changed o so slightly along with revisions to the cooling system. You might need a good magnifying glass to see the rest of the tweaks though, especially to the untrained eye. So here comes the specs. The new SF71H weighs a feather-light 733kg which is the bare minimum according to the 2018 rulebook. Power comes from a 1.6-litre turbocharged V6 hybrid unit which Ferrari makes in-house. Hopefully, the new power unit is a lot more reliable than last year's efforts. Not much changed from the driver lineup either, Four-time German winner Sebastian Vettel and 2007 world champ Kimi Raikkonen slugging it out for supremacy for the Tifosi. Lastly this year the cars will be fitted with the halo device all in the name of improved driver safety. What do you guys think of the halo? 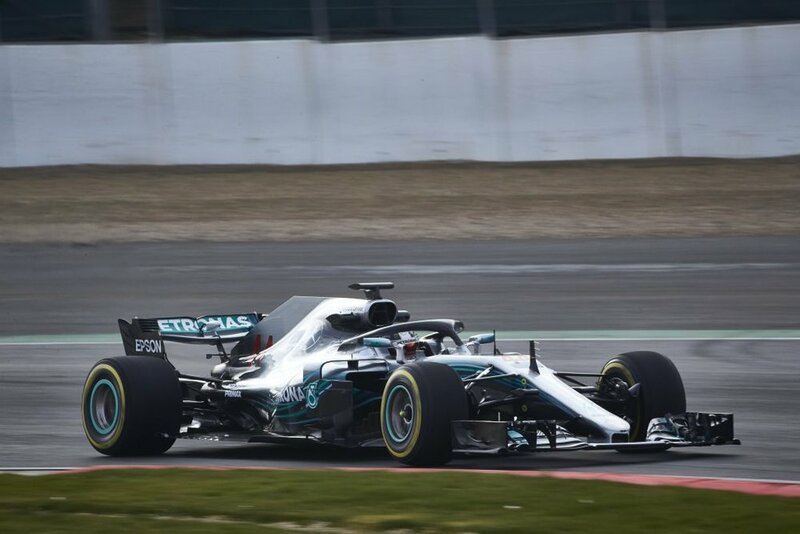 Also today the silver arrows also know as Mercedes AMG launched their 2018 challenger at a big Silverstone event. The F 1 W09 EQ Power+ is what Lewis Hamilton hopes will help him win a record 5th world title. Like the team in red the new Merc shares much with last year's title-winning car, Toto Wolff said they were careful not to change the car too much as they wanted to carry over some of last year's car's characteristics. The eagle-eyed among you would have seen the T bar is nowhere to be seen on both the Ferrari and the Mercedes, that would be because the T bar was banned. There is a marginally increased rake over 20 17's car, even though it shares an identical wheelbase length. Because of the reduction in engines for this particular season a measly 3 engines are allowed per driver for the season. To counter the ration on engines Mercedes went all out to improve reliability and endurance of its engines. They will have changed the packaging, and worked on "combustion efficiency and hardware friction". Drivers, in case you need reminding, are unchanged. Lewis Hamilton and Valtteri Bottas will be behind the wheel again this year.